No luck for the Thurston Street canal, at least not yet. 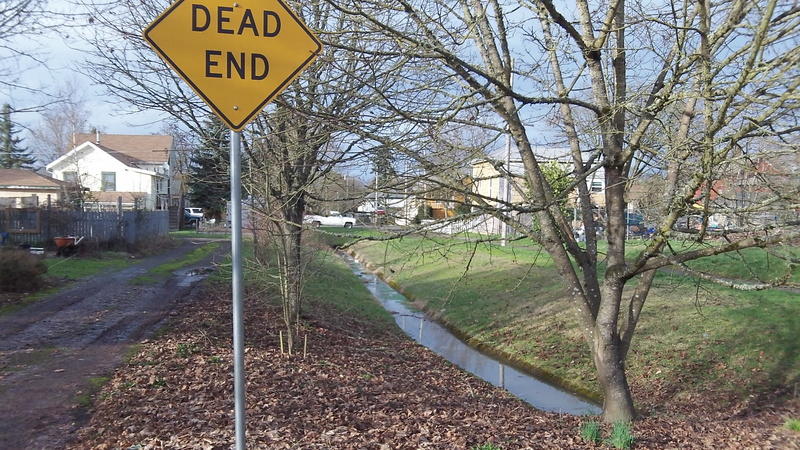 Albany’s urban renewal program intends to call a public meeting to gather comments on which public “infrastructure” projects to pursue, but for now the idea of an improved Thurston Street canal is off the list of suggested options. On March 19 the CARA board will decide on an agenda — and presumably the date — for the gathering of public comments. 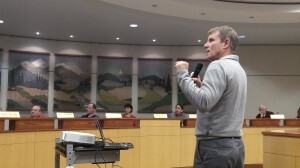 The idea of spending the $3 million toward a new police headquarters and downtown fire station, advocated by critics of the CARA program, got no mention from the advisory board Tuesday. The Borden Building “tower” as seen from the Dave Clark path. 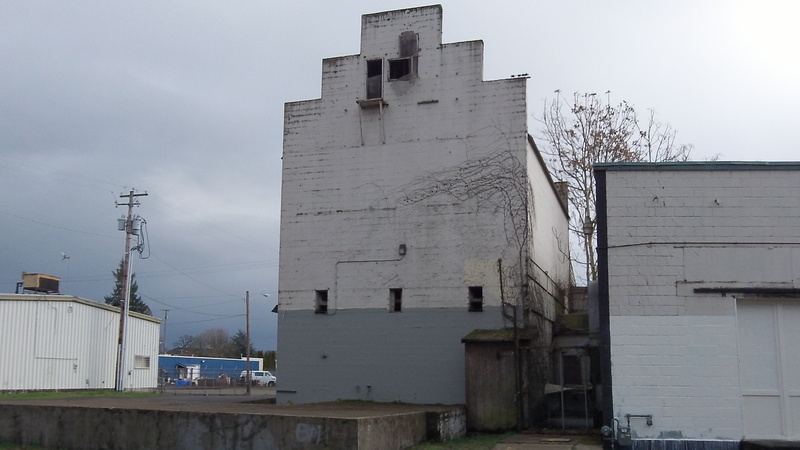 Also Tuesday, the CARA board approved a request by John Boock for a $4,500 grant to cover half the cost of repairing and painting the exterior of the Borden Building “tower” on the Willamette riverfront. 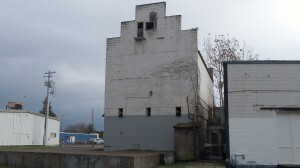 Another part of the building houses the Deluxe Brewing Co., and Boock said the cosmetic upgrade of the tower would help in reviving the area. The board turned down at least for now a request by Michael D. Allen for $5,000 toward the estimated cost of $11,500 to fix up his building at 433 Third Ave. S.E., the home of Allen & Associates Insurance Inc. Board members said they’d like to see more than one bid for the project and suggested he renew his request. A potential bigger renewal project came up unexpectedly Tuesday. Developer Scott Lepman asked if CARA would consider, on March 19, a request for a grant or forgivable loan to help him buy and restore the former Fortmiller Funeral Home at 420 Third Ave. S.W. Board members said yes, they would consider it. Scott Lepman makes a point to the CARA board. The building, dating from 1930 and much changed since, is adjacent to the Carnegie Library and is in foreclosure, with an auction scheduled in April. Lepman said the building suffers from “incurable functional obsolescence” and can’t be renovated economically without some help. He and his brother, Spencer, who previously created Jefferson Lofts from a dilapidated warehouse, would turn it into nine apartments and two offices.